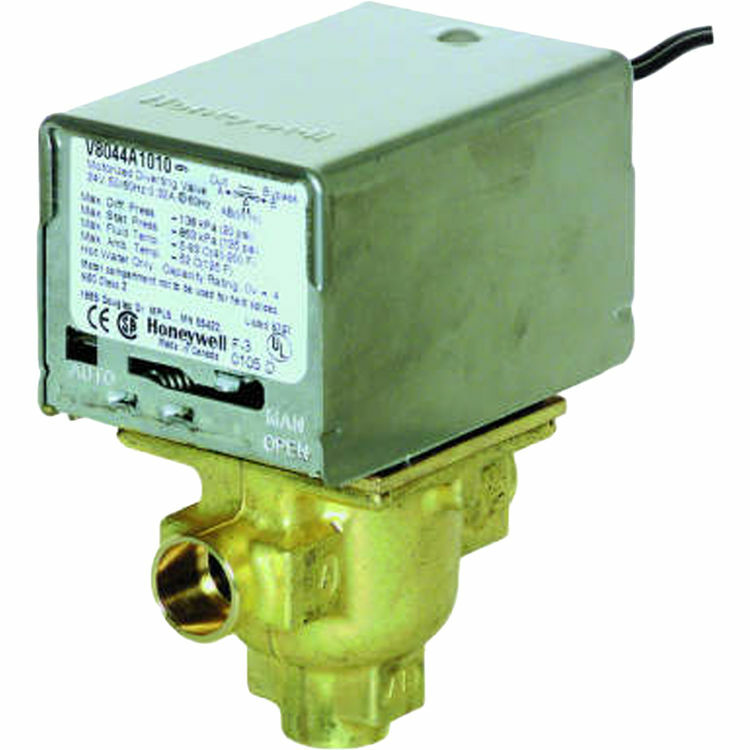 Honeywell V4044A1290 Sweat Diverting Zone Valve. On-off and diverting line voltage valves consist of an actuator motor and valve assembly for controlling the flow of hot or chilled water. Manual opener (on all models, except straight-through, normally open valves) for valve operation on power failure; valve returns to automatic position when power is restored. All models may be installed without disassembling the valve. Complete powerhead may be removed or replaced without breaking plumbing line connections or draining the system. Motor may be replaced without removing the valve body or draining the system.